‘Idyllic’ doesn’t do it justice. The Mitre has one of the prettiest locations in all of Surrey. There, we’ve said it. With a history that stretches back to 1665 – the hotel was commissioned by Charles II and used as a lodging house for royal guests – and a riverside brasserie that serves up eye-popping views as standard, you’re in for a one-of-a-kind stay. All rooms exhibit vintage elegance and come fully equipped with free Wi-Fi and espresso machines – expect great coffee, and space, lots of space. ‘Exclusive’ bedrooms enjoy gorgeous views of Hampton Court Palace or the River Thames. 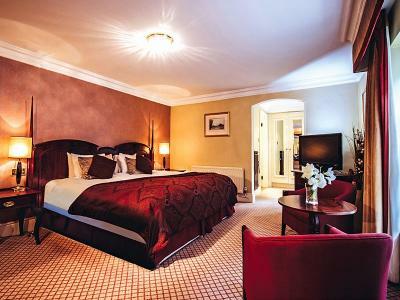 And, if you want to feel like a head of state, you can opt for a night in the sumptuous King Henry suite. 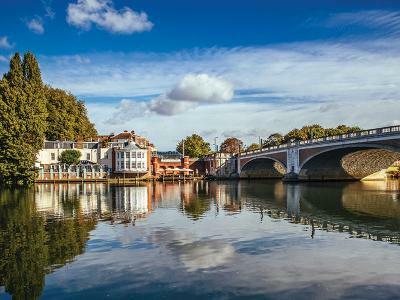 Take a stroll through leafy Kingston-upon-Thames, or head in to the capital for some shopping – on the banks of the River Thames, the Mitre Hampton Court Hotel is just 30 minutes from central London by train. There is limited free parking on-site. Places to stay near Hampton Court do not get any better than this. Our Classic rooms are tastefully designed with beautiful interiors and furnishings. 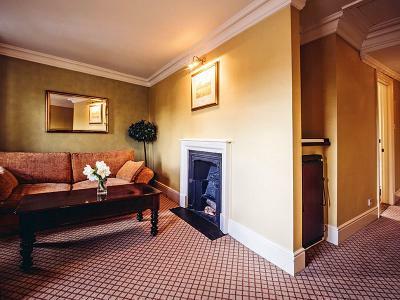 Experience the perfect combination of a building rich in history with all the modern comforts for a luxury stay by the River Thames. Relax in the sophisticated surroundings of a Deluxe bedroom elegantly furnished with all the necessities you'd expect for a comfortable stay. 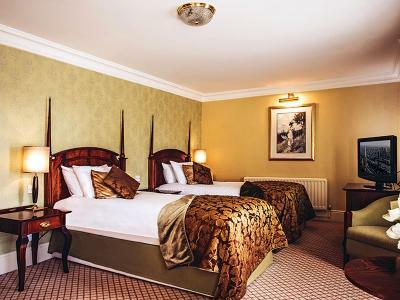 With gorgeous views of either Hampton Court Palace or the River Thames, beautiful decoration and lots of extra space, our Deluxe rooms have a lot to offer. 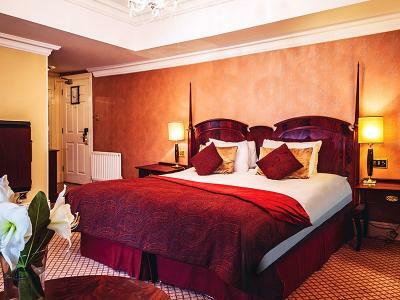 Catherine Parr Suite: With stunning views of Hampton Court Palace and the River Thames, the Catherine Parr Suite is the second largest bedroom suite at the hotel. Discover a tasteful combination of contemporary luxury, comfort and historic decoration and enjoy a restful night’s sleep in a seventeenth-century style canopy bed. King Henry Suite: Our finest suite. 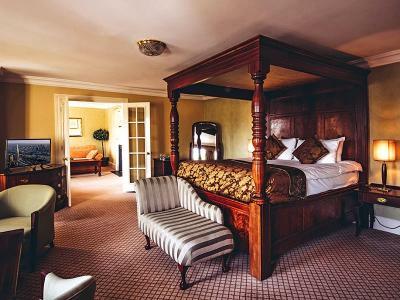 A luxurious bedroom featuring a four-poster bed and breath-taking views of Hampton Court Palace and the River, it is an experience not to be missed.